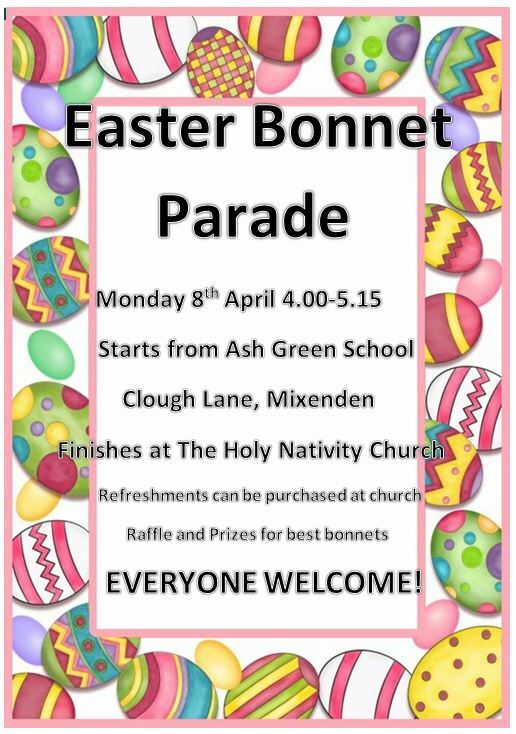 Everybody welcome to get involved with the 2019 Easter Bonnet Parade in Mixenden. starting at Ash Green School upper site, Clough Lane, Mixenden, HX2 8SN on Monday 8 April 2019, 4:00pm-5:15pm. The route will be the same as last year walking through Mixenden to the Holy Nativity Church. Includes raffle and prizes for best bonnets and the event will finish at the church where refreshments such as hotdogs, bacon butties, pizza, cakes, tea, coffee and juice can be purchased.